The final awesome Press party of CES, ShowStoppers, occurred on Thursday, January 5th, 2017, in one of the giant ballrooms at The Wynn. Along with Digital Experience, ShowStoppers is one of the main reasons I attend CES, because they always showcase a great selection of quality products. 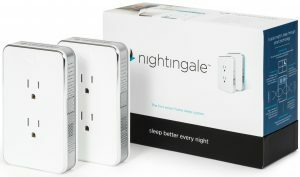 In this article, I’ll be sharing a little about 4 of these cool new products with you. Let’s jump over to the opposite end of the sound spectrum, to a product that is helping make sounds much clearer. The LiNX2 from ReSound is a mini behind-the-ear hearing aid which, combined with the ReSound Smart app, is helping people with hearing loss to overcome some of the limitations of other, less sophisticated hearing aids. The Spatial Sense technology inside allows users to pinpoint where a sound is coming from, avoiding what is known as “tunnel hearing.” The LiNX2 also provides superior speech recognition and advanced customizable functionality through the app. The app opens up user options such as direct music streaming, discreet volume control, wind reduction, and a locator feature for finding a misplaced hearing aid. 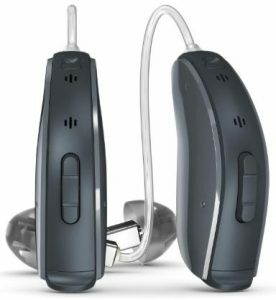 Learn more about this model, and all ReSound’s other models at www.resound.com. Switching to something of a novelty item, the Hello Egg is a cute, voice-operated, egg shaped kitchen assistant, which can help you be a better home cook. Just tell Hello Egg what you’d like to cook, and it will find step-by-step recipe tutorial videos for you to watch. The videos are projected on its rear-projection screen, which displays an eye when not showing videos. As far as a shiny black egg with one eye is able, Hello Egg will convey different emotions to sort of interact with you, by changing the shape and expression of this eye on screen. Pretty sure this is just a way for it to be cute. If you need help beyond watching a video, you can be connected with a real life cooking support person. Use the device to plan your weekly meals, order groceries, and even listen to news updates and music. 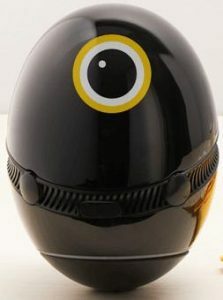 See this adorable little countertop companion for yourself at www.helloegg.net. Finally, for now, here’s the really amazing MobileStudio Pro from Wacom. This is a full-featured, Intel powered, graphic interface, which will allow graphic artists of all skill levels to take their projects on-the-go. With impressive processor, video card, and RAM specification, as well as compatibility with all the major graphics and editing software, this device is a tempting purchase for any creative professional. It comes in a 16” or 13” model, and features the Pro Pen 2, a responsive, accurate pen stylus. 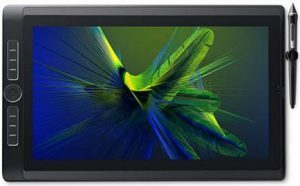 There are far too many top notch features to list, so I encourage you to read all about them at www.wacom.com. As always, ShowStoppers featured many more products than I have just listed, and I’ll be bringing you coverage on many of them at a later time. For now, take a closer look at the above items on their respective sites, and come back here tomorrow for a look at some fun stuff I found while wandering around the vast show floors of the Las Vegas Convention Center. Also, if you haven’t already, take a peak at my last 2 articles on some cool products I found at the other 2 Press events I attended at CES: Discover Blue and Digital Experience.